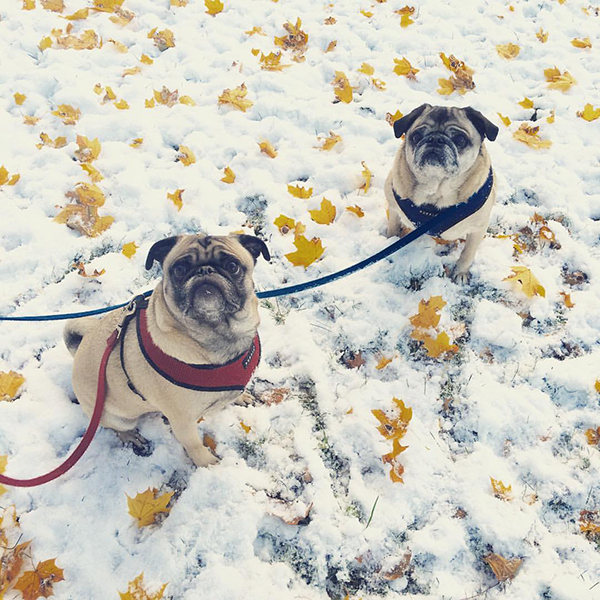 Our first snowfall of the season and the pugs are completely baffled. It's like it's new all over again every year. Although it is weird we have leaves falling on top of the snow.